Access codes work similar to a personal identification number (PIN). An access code is a unique number that enables employees without company email addresses to use our online survey. It’s simple! They visit the employee survey website, enter their unique access code and complete the survey online. Because we cannot guarantee survey receipt when using personal email addresses, we strongly recommend that you only submit company email addresses and use access codes for the segment of your workforce without company addresses. How can I get access codes? Access codes are requested as part of the Email Upload Portal. The portal is sent after registration closes. Can I request access codes for all of my employees? No. To use access codes, at least 70% of your employees must have an email address. To maintain the integrity of the survey process, we cannot supply access codes for more than 30% of your employee population. For example, if your company has 100 employees, up to 30 of them may be assigned an access code, while the remaining 70+ must have an email address. How are the codes distributed? Have supervisors or the survey coordinator hand-deliver an access code to each employee. Access codes can only be used one time. Employees will need access to a private computer workstation to complete the survey online. 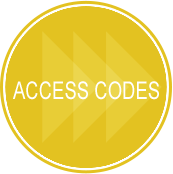 The distribution of access codes is the responsibility of your survey coordinator. Best Companies Group requires each company to submit a checklist of its selection and distribution method of access codes. Copyright © 2019 Best Places to Work in Vermont. All Rights Reserved.